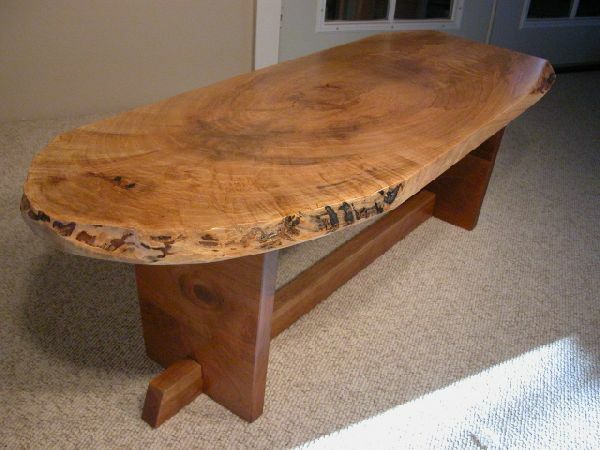 One of a kind, Maple Custom Coffee Table with cherry base. 19W x 52L x 18H. Place your order today for this unique and unusual, rustic, one of a kind coffee table.